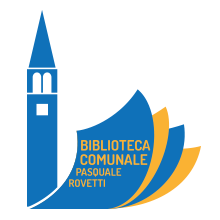 The new library of Crespadoro asked for a new logo that symbolized the town. For this reason the logo shows the stylized Church Tower. For give a meaning better of library a stylized book is appeared side to the tower in an all-in-one design. The colors of logo are blue and orange for give more vibrancy to the library as a place where to spend a joyful time with books.